A new analysis of industry data by the ATM Industry Association (ATMIA) reveals that there are now between 475,000 and 500,000 ATMs operating out there in the U.S. market. This achievement comes after years of what can be characterized as fairly stagnant growth (attributable to a struggling economy, Windows updates, and a complex EMV migration, among other factors). 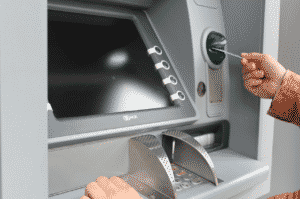 Also good news: ATMs are becoming more accessible to the disabled (more about this in a future post). Bottom line: ATMs, as a part of the growing self service channels, make Anywhere Recognition technologies more crucial than ever to the millions of depositors who never see the inside of a bank lobby despite depositing checks regularly into their accounts via ATM. As the channel sees growth, the challenge now is to manage risk with automation, taking approaches to validate each check along with implementing fraud controls.